Over the years, I have spent countless hours in my home office taking online classes, checking email, working, researching something on the Web, grading papers, preparing lesson plans, creating presentations, and now blogging. This year I reached out to Kerrie Kelly and Katie Tomlinson, Interior Designers at Kerrie Kelly Design Lab, to help me refresh and revive this important room in my home. We’re adding fresh paint, fun colors, an inspiration wall, fun fabric, better lighting, and more to increase my productivity, creativity, and happiness while I’m working through my To Do List. The line between working in and living in our homes has become less distinct. More and more people want to have a home office, whether it’s a simple space for taking care of household business, a spot for the inevitable papers and projects that make their way home from the office, or a dedicated spot for a full-time business. A well-designed office can provide a space that encourages productivity and reflects the style of the rest of your home. Finding space, though, can be a challenge. If you’re fortunate to have a spare room, it’s easy to locate an office there. All too often, though, you’ll need to borrow space from an existing room—diplomatically, so as not to disturb the room’s original purpose. A common spot is a corner of a kitchen or family room. The advantage is that the office is not separated from the day-to-day activities in the house; it also allows parents to monitor children’s Internet usage. A corner of a guest bedroom is another popular choice. If your guest room must do double duty, look for furniture that keeps the room from being too businesslike, such as an office armoire, chests, cabinets, side tables, and footstools with built-in storage. Space for home offices can also be found in some unexpected places, such as an underused closet, space under the stairs, or a place in the attic, basement, or garage. Some experts have said that there are only two essentials for a functional home office: a comfortable chair and a door that closes. For most people, though, there are probably a few more requirements. Basic elements of designing a room include smart space planning, adequate lighting, and sufficient storage. When thinking of the home office, also consider functionality and inspirational comfort. Start with your work surface. Stock desk units come in a variety of materials but may be difficult to fit in with your room. Modular office furniture is more flexible and is available in a number of styles. Or look to repurpose furniture—flea market finds and antiques can be turned, with some judicious changes, into acceptable home-office elements. Chairs need to be functional, but an office chair isn’t your only choice. If you’ll be spending a lot of time working in the office, though, choose a chair with an adjustable seat and armrests to protect your spine and help reduce aches and injuries. Make a list of everything you need, from pencils and paper clips to research materials and file folders. Measure all the electronic equipment you’ll require to see where it will fit best. And make sure you allow for proper lighting. Natural light is great, but you’ll need ambient and task lighting, too. Watch out for the possibility of glare, especially when finding a place for your computer screen. If the space doesn’t have a door, you can establish a sense of privacy by the way you orient your work surface or by using a screen or file cabinets to mark off the area. 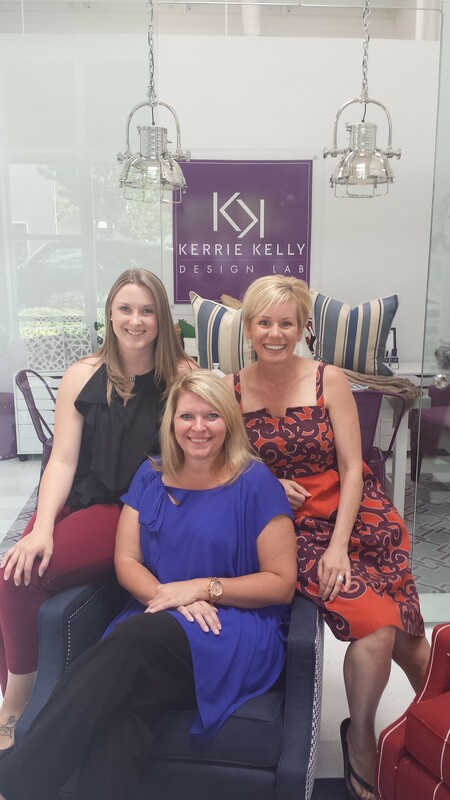 Kerrie Kelly and her team believe in great design. You can stay connected to Kerrie Kelly Design Lab through her blog and other social media technologies. Visit KKDL online today. 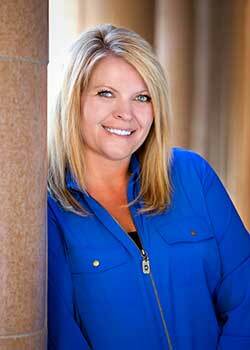 Stacy, thank you for continuing with the great articles. Your writings provide refreshing advice and tips for being successful as a professional and leader!